The Hockomock Area YMCA’s Healthy Futures Initiative was selected, to visit the White House Kitchen Gardens in recognition of its positive impact on local communities, through its Healthy Futures Initiative. 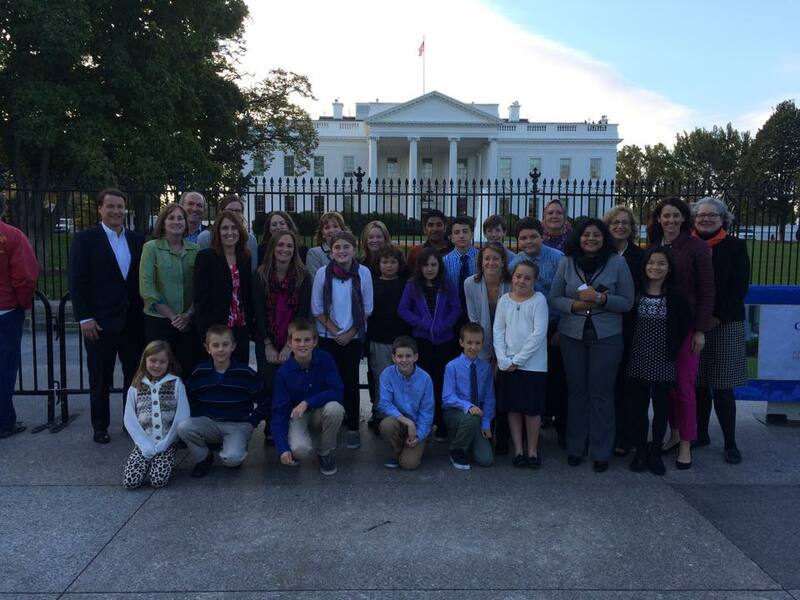 The visit, part of Let’s Move on Thursday, October 30th, included a private tour of the White House. The goals of the First Lady Michelle Obama’s Let’s Move Initiative are aligned with, and supportive of, the Hockomock Area YMCA’s Healthy Futures Initiative, which focuses on community-based initiatives to reduce inactivity and poor nutrition in the fifteen communities served by the Y, through programs, projects, and policies. Healthy Futures incorporates prevention and intervention-based strategies that support families, especially those most at risk due to food insecurities. The Hockomock Area YMCA’s Healthy Futures Initiative is active in 15 communities, serving more than 10,000 children annually, totaling over 184,382 hours of physical activity and nutrition education. The 30 attendees included local volunteers, community leaders, families, and Hockomock Area YMCA staff. 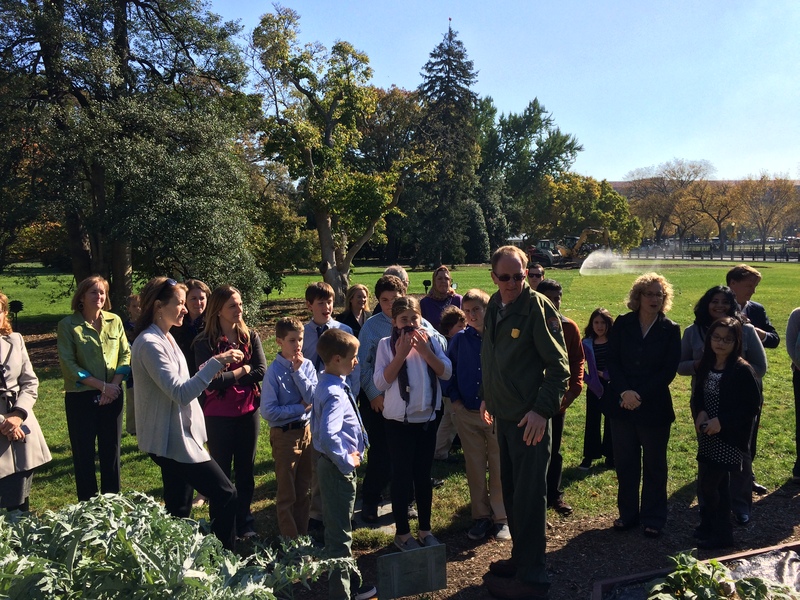 This special White House visit allowed the Y’s Healthy Futures volunteers and participants an opportunity to learn more about the importance of growing fresh food, and making healthy nutrition and dietary decisions. Franklin: Erin Lynch of the Franklin Food Pantry and her children Sierra and Kai; Healthy Futures volunteer Ansh Tarafder and her mom Rakhi Tarafder; Erin Earley and her children Sean and Brigid. Mendon: Hockomock Area YMCA Chairman of the Board of Directors Jeff Dufficy. Milford: Ellen Freedman of Milford Regional Medical Center and her daughter Mae. Plainville: Julie Kinney and her children Grant and William; Bethany Lotfi and her children Sawal, Mohamad, and Yousef. Hockomock Area YMCA Staff included Marykate Bergen, Kimberly Cohen, Caitlin Gibbs, Ed Hurley, and Kelly O’Neill. “I was honored to be included as a representative of the YMCA’s strong school partnerships that bring such richness to our schools! It was truly a memorable day. But most of all, I was happy that this special day recognized and commemorated the Hockomock Area YMCA’s tireless efforts to promote wellness in their member communities through so many initiatives. Our Hockomock YMCA is second to none, and our communities should find more ways to acknowledge all the wonderful things they do,” exclaimed Debra Spinelli, Superintendent of the Foxborough Public Schools. dinner includes at least one element from the garden,” exclaimed Carrie Kelley, Foxboro resident and Hockomock Area YMCA member. Located in the White House South Lawn, the Kitchen Garden is home to different fruits, vegetables, and herbs each growing season. The First Lady planted the White House Kitchen Garden in 2009 to initiate a national conversation around the health and well-being of our nation and to serve as an inspiration for schools and community groups across the country to plant gardens of their own. The Let’s Move! Program was launched by First Lady Michelle Obama in 2010 and is a comprehensive initiative dedicated to solving the challenge of childhood obesity within a generation, so that children born today will grow up healthier and able to pursue their dreams. Combining comprehensive strategies with common sense, Let’s Move! is about putting children on the path to a healthy future during their earliest months and years. The Hockomock Area YMCA, working with community partners, is creating innovative initiatives to ensuring everyone has access to healthy food and a healthy lifestyle to combat the increase in chronic disease and healthcare costs related to obesity. The Y’s partnerships with school superintendents, principals, teachers, food service directors, and parent groups, have been the centerpiece of Healthy Futures’ sustained impact. Keeping kids moving and well-nourished are core goals of the Y’s Healthy Futures program. For more information, contact Caitlin Gibbs, Director of Health Innovation at the Hockomock Area YMCA at 508-772-1351 or caitling@hockymca.org.